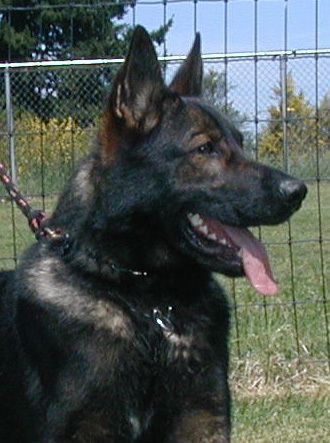 Wolfgang is a handsome dark black sable male, of pure DDR lineage. He is working in therapy work and is in training to be a working Therapy dog for VA vets in need. Possessing an excellent temperament, he is agreeable, willing and ready to work. Wolfgang's dam is our DDR female "SG" Xenna vom Parchimer Land, imported directly from the Parchimer Land kennel in Germany. 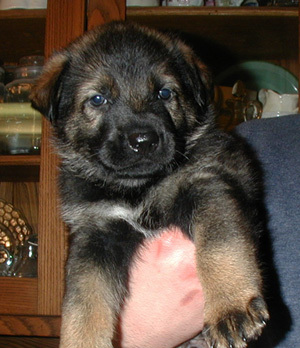 Xenna is the daughter of our DDR Stud, "V" Dino vom Schäferliesel, SCH3, IPO3, KKL1. 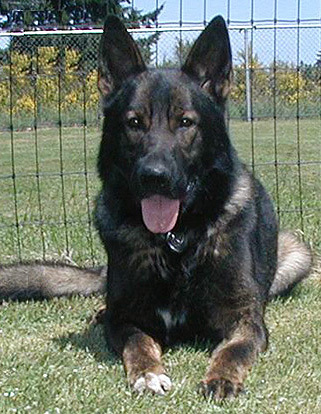 Wolfgang's sire is our Pure East German DDR Stud Lux vom Kameruner Eck. Lux is V Rated, Sch3, KKL1 for Life. Imported from Germany, Lux's pedigree is excellent working lineage of Pure DDR/ East German bloodlines. His drive for the ball is incredible, and in protection work he comes at the helper like a rocket. with excellent civil and defensive drive. 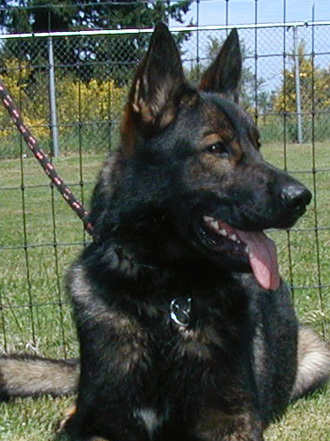 Lux's temperament is very solid and he is an attentive dog to the handler, always striving to please. 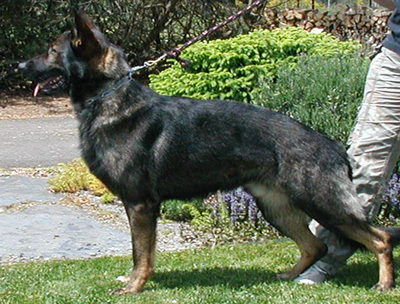 Wolfgang's Grand Sire, Tino vom Felsenschloß was a highly sought after sire in Germany, siring excellent working progeny. Lux is a grandson of Lord vom Gleisdreieck, well known for imparting excellent working drives into his offspring, particularly for tracking and protection work. These genetic scenting and tracking abilities come through loud and strong in Lux's offspring, and WolfGang is no acceptation to this, showing a very strong and deep nose for scent work. 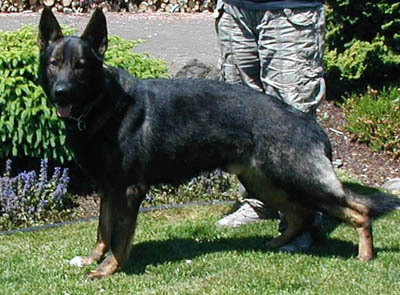 Two full brothers of Wolfgang's are SAR dogs in Oregon, one of which is WuffJager. DDR Lines to Jeff vom Flamings-Sand, Blacky vom Gleisdreieck, and Ingo von Rudingen (credited for producing some of the strongest structural health for the working German Shepherd gene pool, vastly improving upon pigmentation and working abilities).